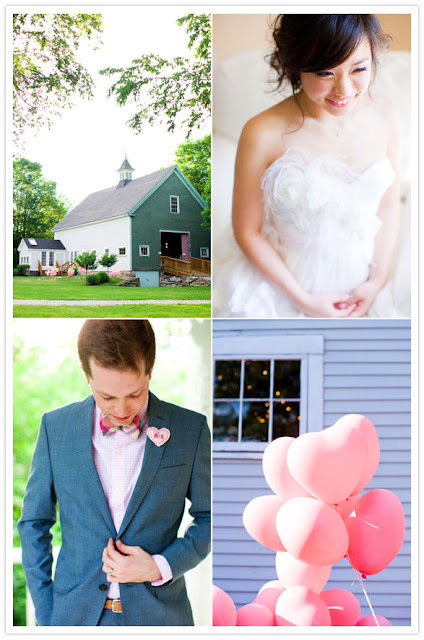 Juneberry Lane: Wedding Wednesday: Married in Maine; A Barn-Chic Celebration of Color! 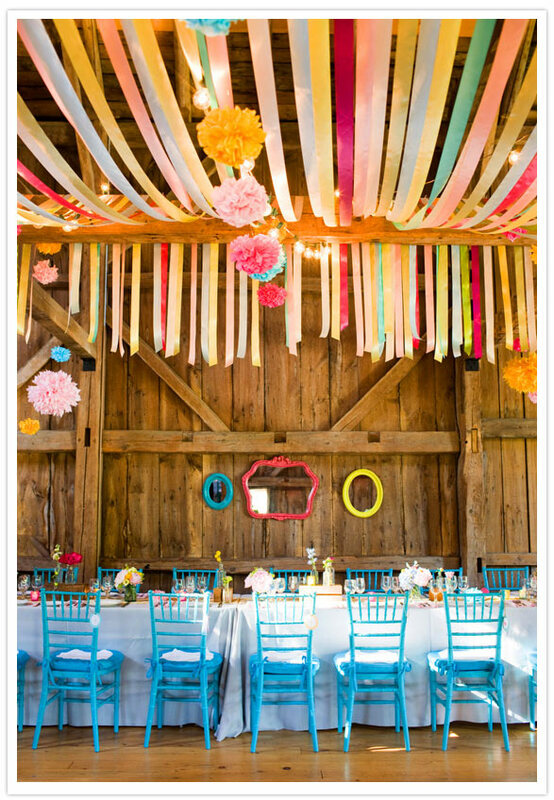 Wedding Wednesday: Married in Maine; A Barn-Chic Celebration of Color! As we head on into the warm weather, I love to think forward to the sunny days ahead! 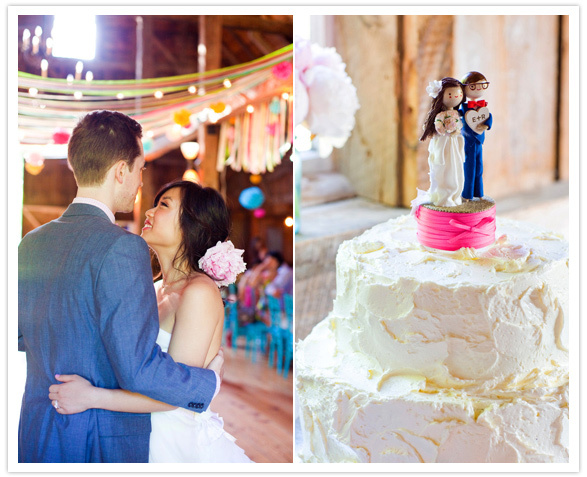 This bright & beautiful wedding in Maine, brought to you via 100 Layer Cake and featuring the lovely bride & groom, Ruth & Ed, is just the perfect way to add whimsy & joy to your afternoon, and a touch of playfulness to your special day . 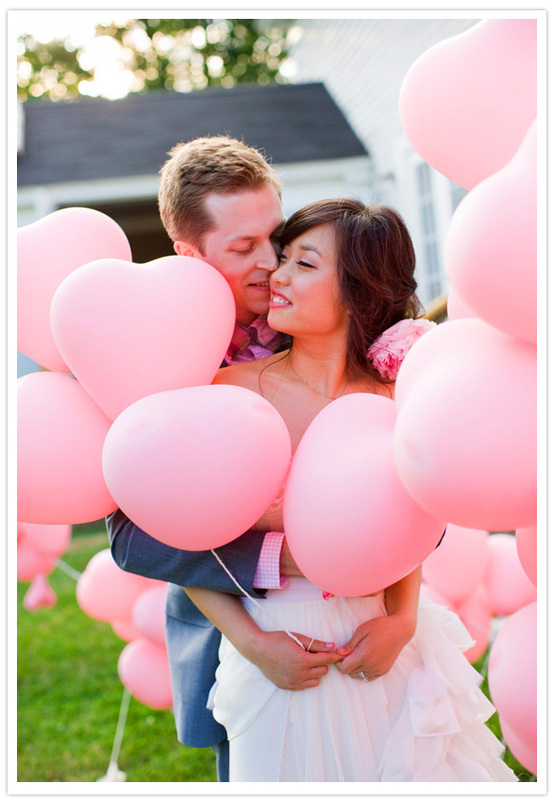 . .
Loving those pretty-in-pink heart-shaped balloons . 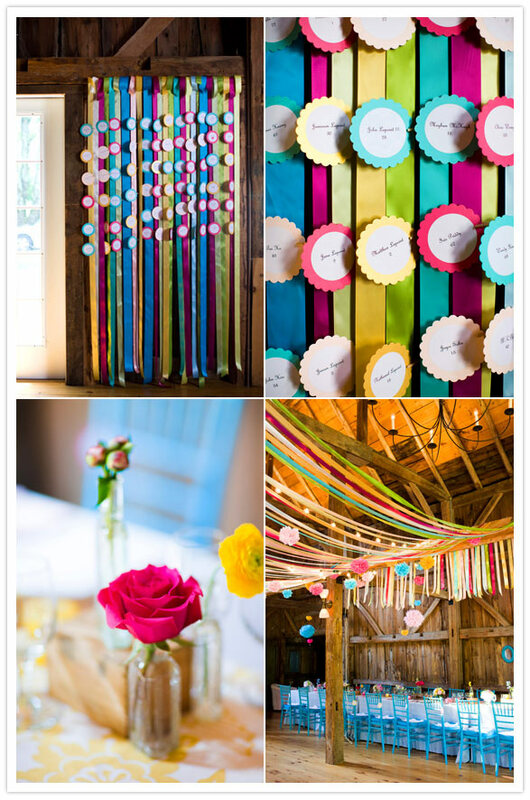 . .
No one can resist retro straws and tissue poms . . . 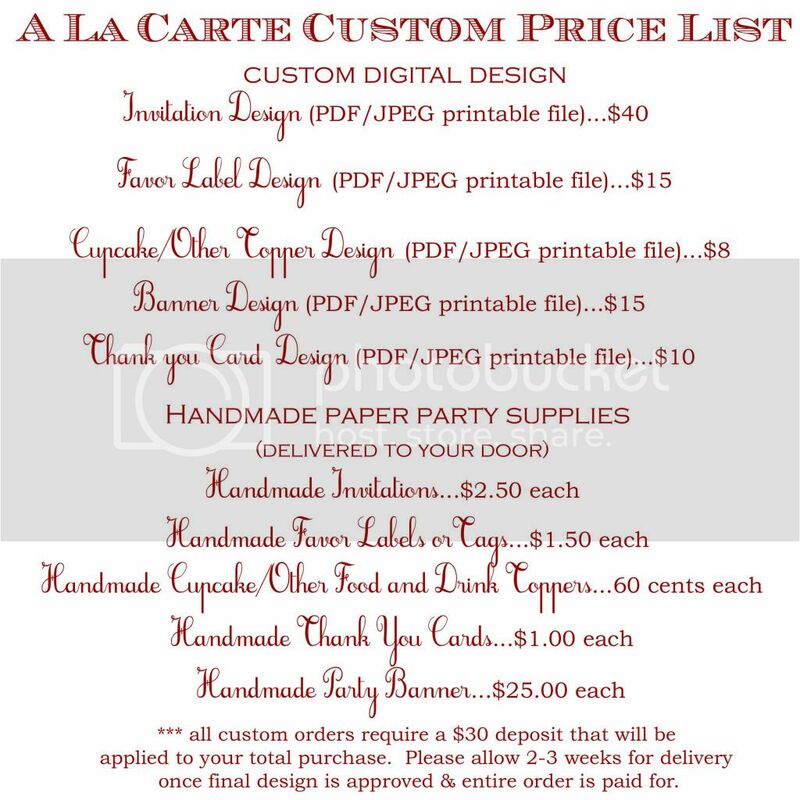 Seating cards full of color!! 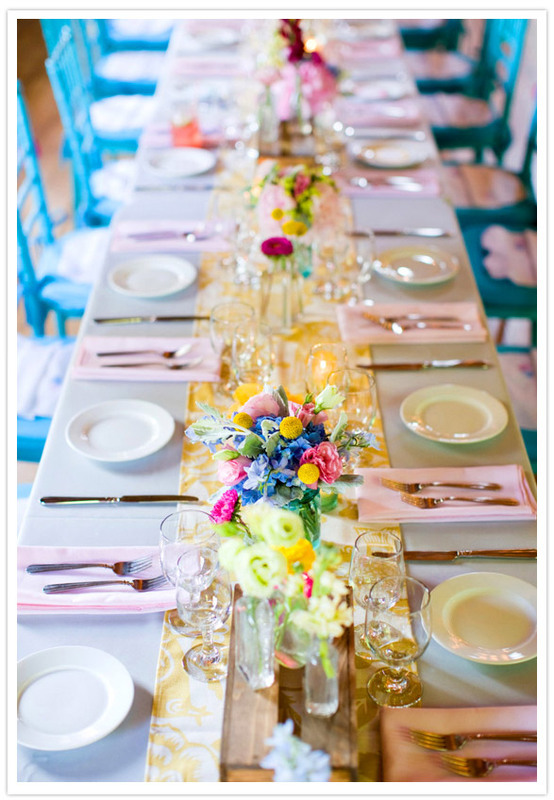 And turquoise chevalier chairs, oh my! 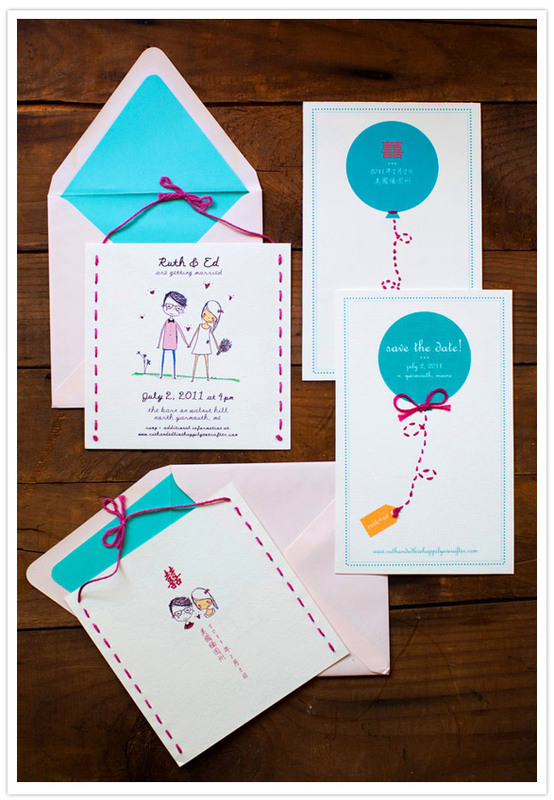 Musings from the bride & groom . 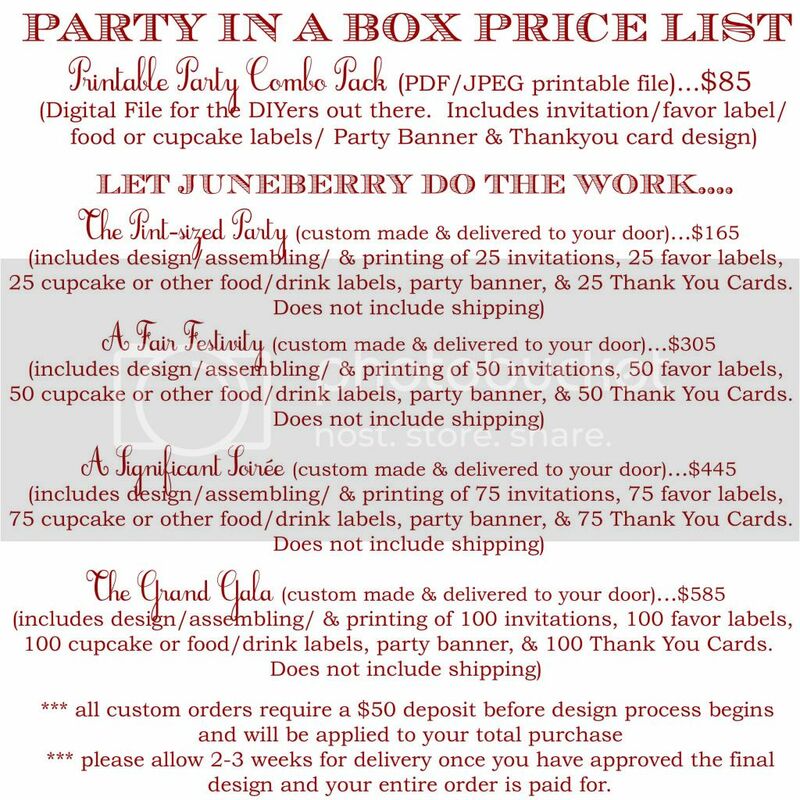 . .
"In the months leading up to our wedding, there were days we loved thinking about and planning our wedding, and there were days when we were so overwhelmed and convinced it would be an epic stress that we seriously considered skipping town and heading for a Vegas chapel. 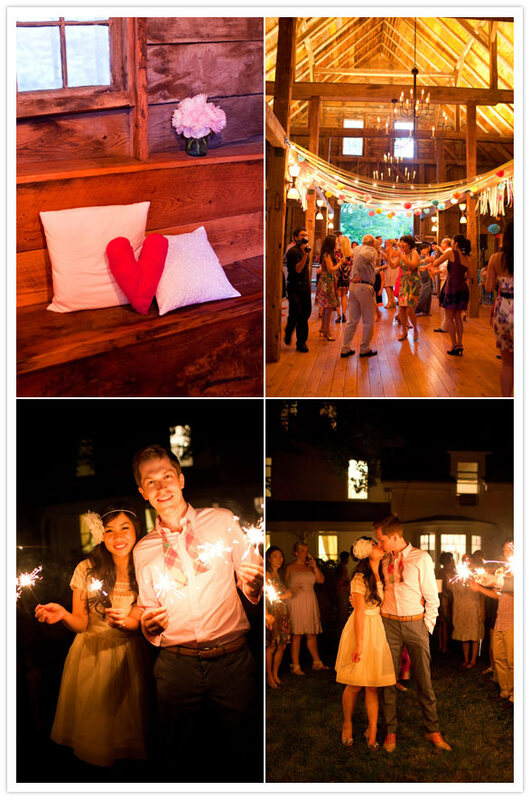 Then something incredible happened…we loved everything about our wedding! For the first weekend in months, the weather in southern Maine was sunny, warm, and dry. Thanks to spring’s late arrival, our favorite flowers that were supposed to be out of season for our wedding we’re actually IN season. The dozens of DIY elements we were weeks behind on finishing were somehow completed on time (thanks to our army of helpers in the 11th hour). And our vows which were being written and re-written up until a few hours before the ceremony came out funnier, more poignant, and more lyrical than we ever could have imagined. In a word…perfection!" Barn Chic!!! You can't get much more fun than that, right? I just love it when a couple isn't afraid to bring on the color!! Happy Wednesday!